2:17 AM backpain, Health, Home Remedies., Treatments. Back pain is a range of aches Woman presses her lower back to get relief from painand pains occurring in lower part of your spine. Back pain can be dull, sharp, constant or sudden. Majority of back pains go away after a period of time without need for any treatment. Back pain causes can include a range of factors including disease, injury and age. A majority of back pains occur due to bad posture. For identification of the root cause, back pain symptoms need to be observed carefully such as movements involving walking, bending or getting up causes pain in your back and pain after you sit or stand for long periods in a particular posture. Mix three teaspoons of glucose in one glass of water and consume every morning. Dissolve four teaspoons of honey in a glass of warm water and drink on an empty stomach in the morning. Getting up and moving around every hour or two is a natural remedy for back pain, especially for people with a sedentary job or occupation. An effective regimen of back pain exercises helps strengthen your back and delays deterioration related to age. You should rest flat on your back for a couple of hours on a hard surface. Taking a proper rest is a very important part of back pain remedies. While picking up heavy objects you should bend your knees slightly as this will cushion your back from the extra strain. Mash raw potato, add water to the pulp and heat the pulp in a vessel. Put the warm pulp in a cloth and strain the water. Apply the hot potato mash enclosed in the cloth to your back pain. Turpentine oil can be used to massage your back. 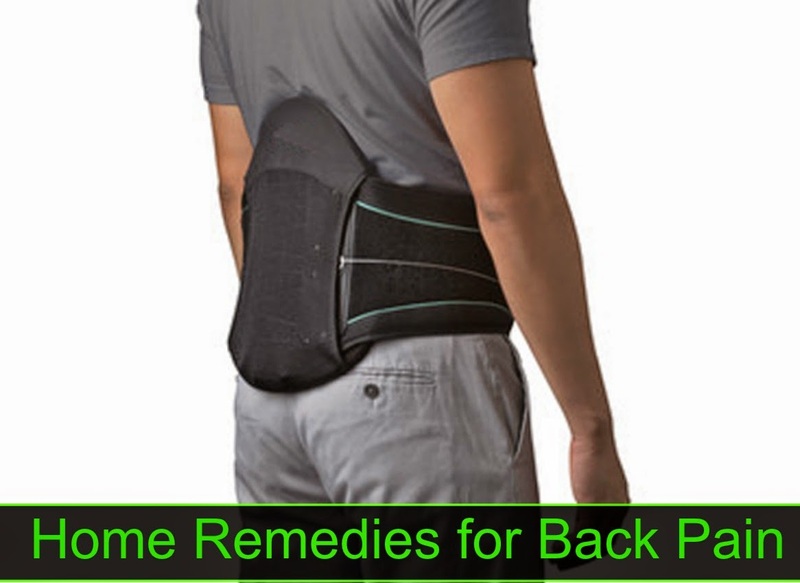 It works well in providing temporary back pain relief. Consume three or four raw garlic cloves every morning on an empty stomach. Fry seven to nine cloves of garlic in fifty milliliters of coconut oil until the oil turns a light shade of brown. Apply this garlic oil for massaging your back to get soothing relief. This is a very effective home remedies for back pain. Natural back pain treatment is also possible through relaxation techniques including breathing exercises and stretching methods.